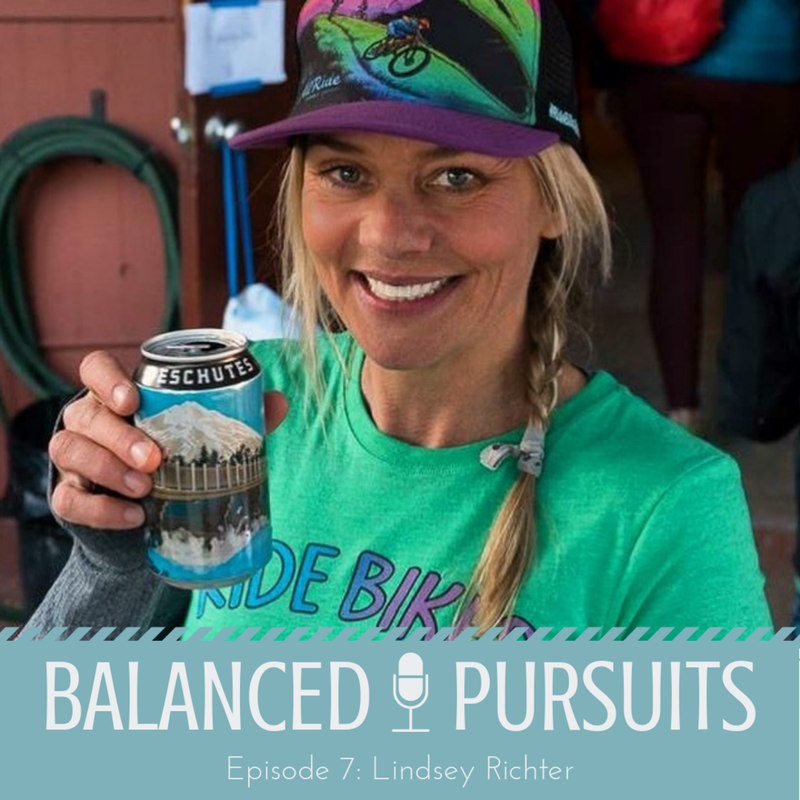 Balanced Pursuits Podcast is hosted by extreme sport athletes, television personalities, and all-around badasses, Kristi Leskinen & Jen Hudak. Each episode, Kristi & Jen interview thought leaders in sports, business, and entertainment. They discuss what it has taken each guest to cultivate a life of purpose & passion, to live life on their own terms, while finding balance and fulfillment in their pursuits. Lindsey Richter, the founder and Director of Inspiration for Ladies AllRide, has a mission: change women's lives with two wheels and some dirt. Of all her wild life experiences it was mountain biking that taught Lindsey life is about CREATING yourself, not finding yourself. Now as a world-renowned leader in the women's mountain bike movement, Lindsey spreads her passion for mountain biking across the globe through innovative and inspirational skills camps. She knew from experience how intimidating it can be to go beyond your comfort zone and feel left behind. In 2012 she became determined to find ways to be a voice of encouragement to invite more women into the sport. She began realizing through her own experiences on the bike that mountain biking is a lot like life with ups and downs, finding balance and overcoming challenges. Once she learned that accomplishments on the bike related to self-esteem and life, this inspired her to educate more women about the beauty of the sport, which led to the Ladies AllRide movement. This week’s guest is one-of-a-kind. Lindsey Richter is the founder and Director of Inspiration for Ladies AllRide, a women’s mountain bike clinic series that travels the US. Her larger-than-life personality may have gotten her into trouble on reality television (Season 3 of Survivor), but has allowed her to lead women into personal transformation on their mountain bikes. Lindsey goes deep in this episode and gives us a whole new perspective on growth through pain and suffering. Learn more about Ladies All Ride and sign up for a camp!